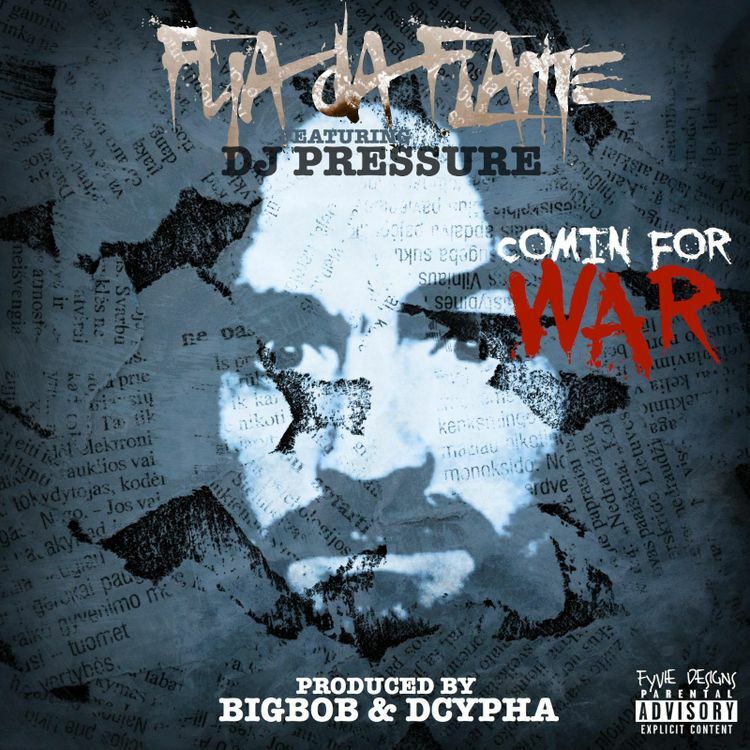 UK veteran MC Fya Da Flame, teams up with Canadian producer BigBob to make some bold declarations in the new track ‘Comin For War’. Utilizing snippets from interviews with infamous Cult Leader, Charles Manson, Fya conveys his representation of truth with the goal of challenging the fakers. The passionate semantics are indicative of his authenticity, his aim and his focus, with an amicable lyrical flow. The sound is a framework of golden era boombap music with dope cuts and scratches throughout from the UK’s DJ Pressure.